Dimensioni di questa anteprima: 800 × 533 pixel. Altre risoluzioni: 320 × 213 pixel | 640 × 427 pixel | 1 024 × 683 pixel | 1 280 × 853 pixel | 900 × 600 pixel. Autore Various, see File history below for details. It is an audiovisual work, a photograph, a broadcast work or a computer program and 60 years have passed since its publication. It is another type of work and 60 years have passed since the author's death. Note to the uploader: Please provide the authorship and publication details. Vedi anche : en:Flag of Venezuela e en:Coat of arms of Venezuela. 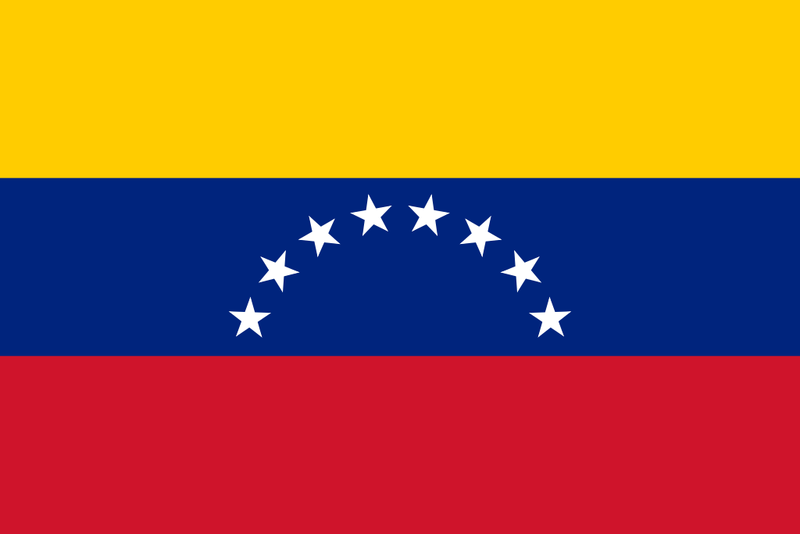 Vedi anche la categoria : SVG flags - historical of Venezuela.